Lumbini Tilaurakot Buddhist Pilgrimage Tour is a special Buddhist pilgrimage tour in Nepal designed for those who want to visit Lumbini – the birthplace of Lord Buddha, and some important sites around Lumbini such as Tilaurakot – Sakya palace where Siddhartha lived his early 29 years as a prince ; Kudan – where king Suddhodana met Lord Buddha for the first time; G0tihawa – where Krakuchhanda Buddha attained nirvana; Devadaha, the hometown of Lord Buddha’s mother. 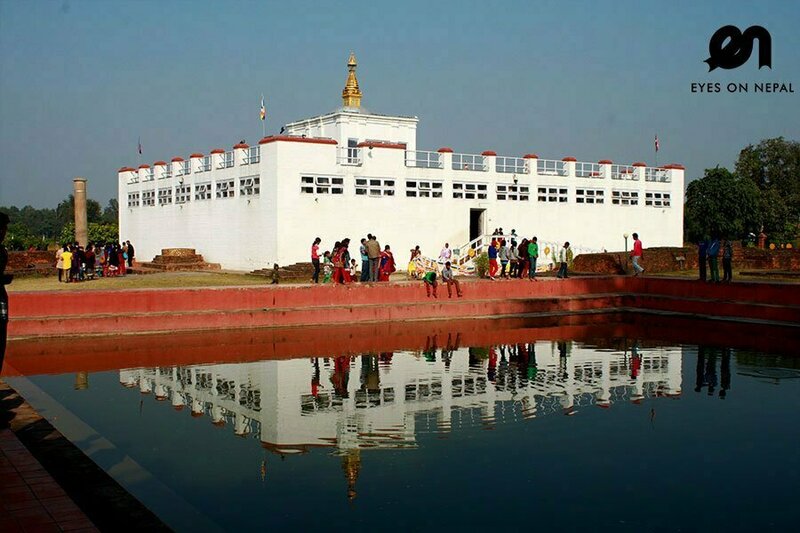 This is the complete tour to visit all important sites around Lumbini areas. The Lumbini Tilaurakot Buddhist Pilgrimage Tour will start from Kathmandu, and on last day, you can choose to travel back to Kathmandu by tourist bus or flight at an additional charge of USD 142. 08.00am: Pick up from hotel and depart to Kathmandu airport to catch your flight to Lumbini at 9.30am. 10.05am: Arrive in Lumbini – Bhairahawa Airport. Devadaha – Devadaha is the famous ancient capital of Koliya Kingdom, te maternal hometown of queen Maya Devi, Prajapati and princess Yasodhara. The site is situated at about 57km northeast of Lumbini and is well connected by the Mahendra Highway. We can observe many archaeological and historical Kumarvarti, Khayardada, Bairimai-Kanyamai, Bhangawanipur/Devidamar, Kotahimai, the Rohini River, the Telar River etc. Ramagrama – The Koliyas obtained one of the eight parts of the Buddha’s relic which they enshrined here and built a magnificent stupa and worshopped for a long time. Buddhist said that Asoka wanted to open and obtain the Buddha’s relic to build 8400 minor stupas thoughout his vast empire. However, the emperor did not touc the precious relic out of the request made by Dragon king and people of Ramagrama. This surviving single original relic stupa standing 7 meter high on the bank of the Jharahi River is the most important stupa of its kind in the whole world. NOTE: Lunch en route at own expenses.After visiting Devdaha and Ramagram, we will drive to Lumbini. 05.00pm: Arrive in Lumbini hotel. Check in and rest and relax till dinner time. 07.00pm Back at hotel. Tour ends. Free & easy. NOTE: Dinner at own expenses at your hotel or outside of hotel. 07.30am: Pick up from hotel and we will drive to Tilaurakot. 08.15am: Arrive in Tilaukarakot. Visit the ancient city. Description: Tilaurakot located 28 km west from Lumbini. It is identified as the historical site of Kapilavastu, where Siddhartha Gautama spent the first 29 years of his life. The site sits in a peaceful meadow on the banks of the Banganga River. We will visit Tilaurakot Meuseum. 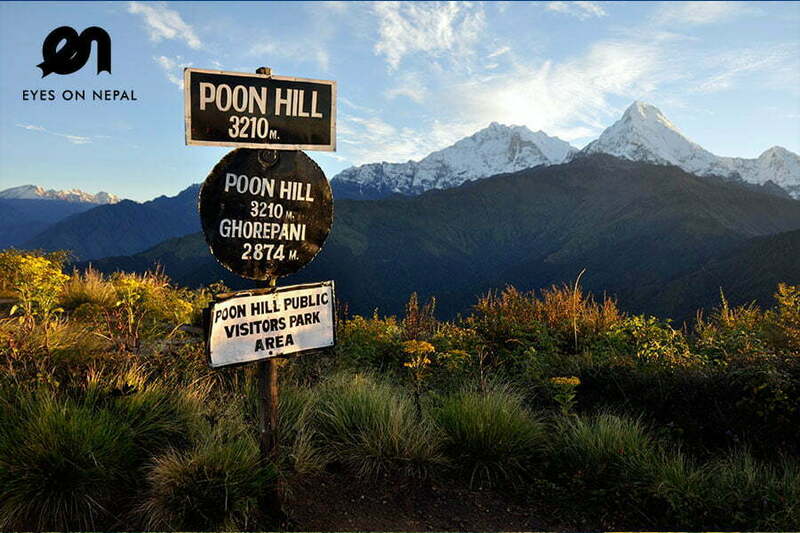 Gotihawa – This place is of special significance to Buddhist. We believed that the Kakruchhanda Buddha, One of the earlier Buddha before Shakyamuni Buddha, the twenty-second of the twenty four Buddhas, was born and attained nirvana in this holy place. 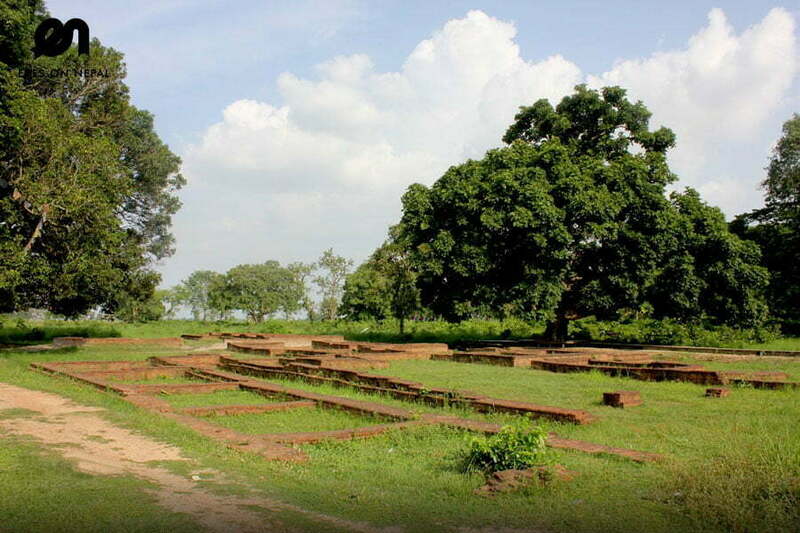 This site lies about 7 km south west of Tilaurakot and 2 km west to the Nyagrodharama and about 31 km west of Lumbini. Niglihawa – It is believed that the Kanakmuni Buddha, one of the earlier Buddhas before Shakyamuni Buddha, the twenty third in the list of tweny four Buddhas was born, enlightened and met his father in this place. Sagarhawa – To the north-west of the Tilaurakot, there are several hundred thousands of stupas, indicating the spot where the members of the Sakya tribe were slaughtered. Araurakot – To the northwest of Niglihawa lies a rectangular fortified area popularly known as Araurakot, which is believed to be the natal town of Kanakmuni Buddha. The rectangular fortification wall is magnificent even in its ruins. 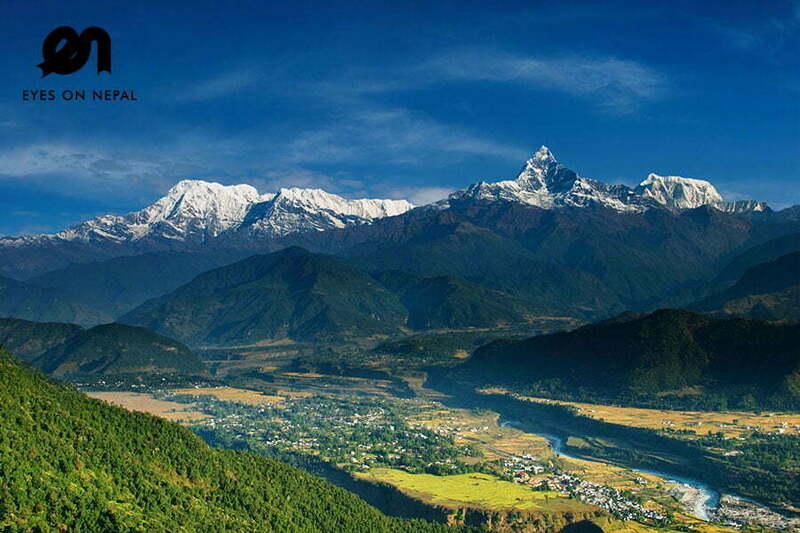 Sisahaniya – Sisahaniya is believed to the site where the Sakyas built a stupa enshrining the precious coporeal relic of the Buddha that they had obtained as one eighth of thier share. The Sakyas after bulding a relic stupa of Lord Buddha at Sisahaniya and worshipped there for a long time. The relic was taken away later. Today, we can see remnants of ancient potteries, burnt bricks and brickbats and even Sakya punch marked coins lying scattered on the surface of the site. 06.00pm: Back at hotel. Rest & relax. Dinner will be prepared for you at the hotel. 1) Please liase with your tour guide on where you want to go, and where you don’t want to go. 2) Please note you can visit Mayadevi Temple early in the morning with the same ticket (reusable) or in the evening after the tour ends. 07.0am: Visit the Mayadevi Temple(Birthplace of Buddha) by walk. You will have time to pray and medidate . Note: During your tour, you will be visiting: Holy Garden, Ashoka Pillar, Peace flame and statue of little Buddha. 10.00am: Back to hotel and have your Breakfast. Rest and relax afther the breakfast. Note: if time permits, you will be visiting Lumbini Library and research center too. 05.00pm: Back to hotel. Lunch en the route. 06.30 am: Breakfast and prepare for departure to Kathmandu. We will put you in Tourist Bus which depart at 7 am in the morning, and your tour ends here. 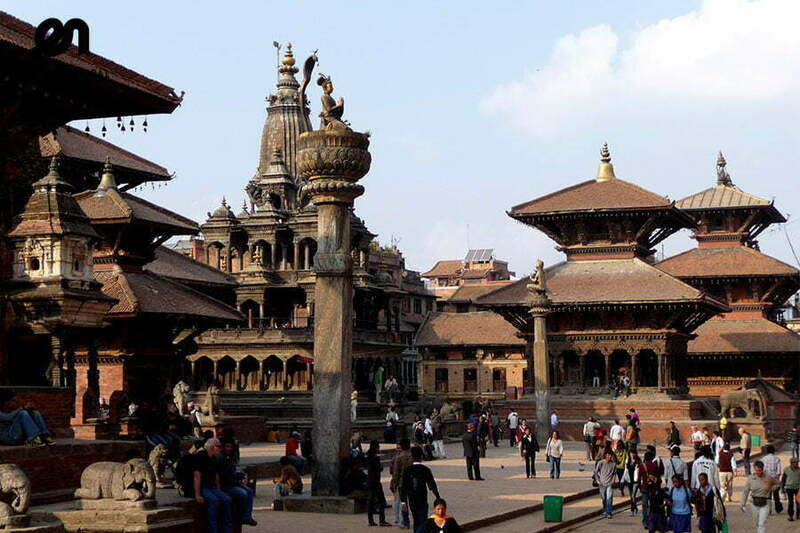 NOTE: You will arrive in Kathmandu after 10 hours, or, you can choose to fly back from Lumbini to Kathmandu at additional charges of USD 142 or car (USD 160/car).